Apparently, couscous doesn’t only come in a box…It even has it’s own dedicated pot. A short while ago, after I posted a recipe for Vareniki (a dish I grew up eating), a friend told me a story about a comfort food from her childhood – handmade couscous. 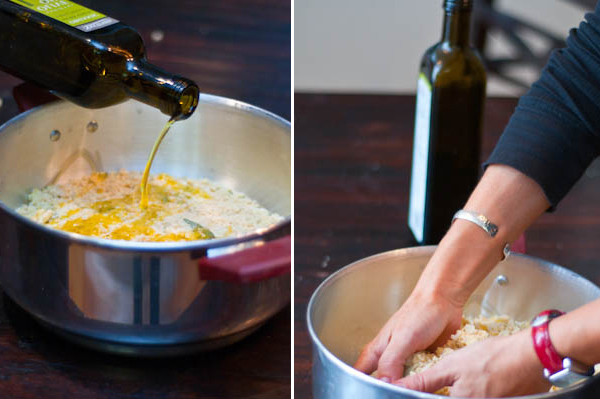 Rita’s Italian family has been making their own handmade couscous together on special occasions for as long as she could remember. I never thought of couscous-making as a “process,” and definitely not a social affair. For me, couscous was always a quick-to-prepare straight-out-of-the-box side dish, pulled together on the days when I was too tired to cook. So, when Rita invited me to a couscous-making dinner get-together at her house, I was both excited and intrigued. 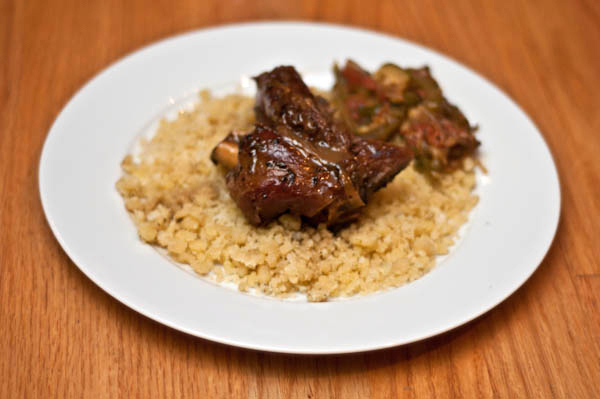 It turns out that couscous is a Southern Italian diet staple. Made by hand, Italian couscous (Fregola Sarda) tastes subtler, nuttier and way more flavorful than the boxed Middle-Eastern alternative. I also found it to be prettier and more elegant looking, for its grains are a little larger and more pebbly. Homemade couscous also has a higher content of resistant starch, a dietary fiber that helps maintain blood sugar and improve digestion — a nice nutritional bonus, in my opinion. 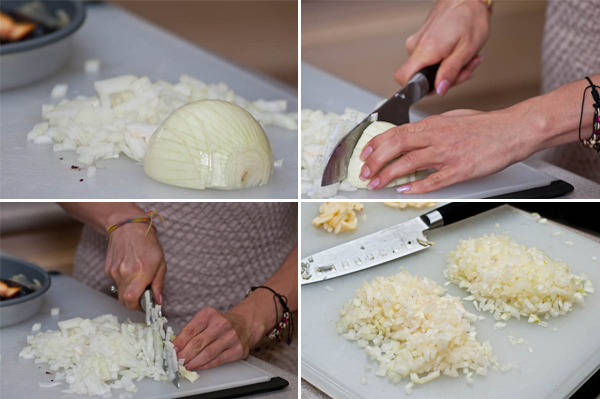 Rolling couscous was easy, even therapeutic, once we got it down. The goal was to add just the right amount of salted water to the golden colored, sandy-textured semolina flour to create the perfect texture. Just like a sand castle, if you add too much water, it turns to mush; if you add too little it stays, well, sand. But when you get it right, the very delicate circular motion of your fingertips creates the most imperfectly perfect grains of couscous. Different shapes and sizes abound. And you can only imagine what the not so delicate touch of our children produced: it ranged from semolina soup to couscous the size of ping pong balls. Semolina flour flying everywhere, bodies covered in “golden sand” and laughter all around. 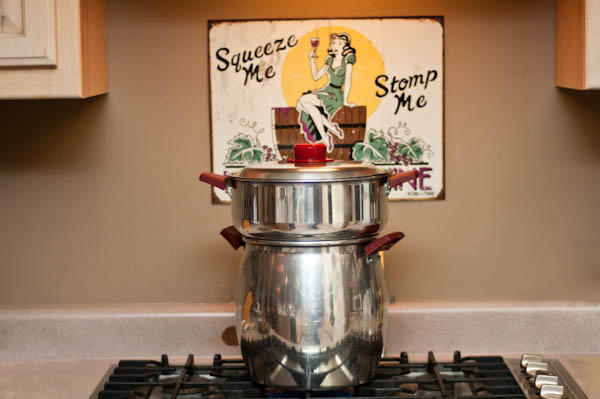 We steamed the couscous in a classic double-boiler pot, called couscoussier, with some chopped onion, bay leaves, chicken stock, and served it with Julia Child’s famous Ratatouille and Union Square’s Braised Lamb Shanks with Herbs. Rita’s husband, Bill, preceded the main course with an appetizer of warm Figs in a Port Wine Reduction with local Pt. 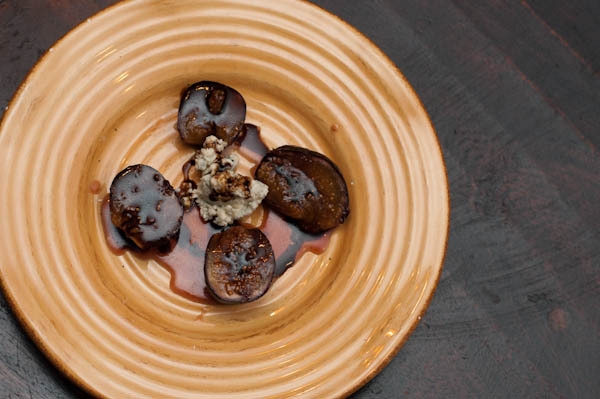 Reyes Blue Cheese and Aged Balsamic Vinegar. 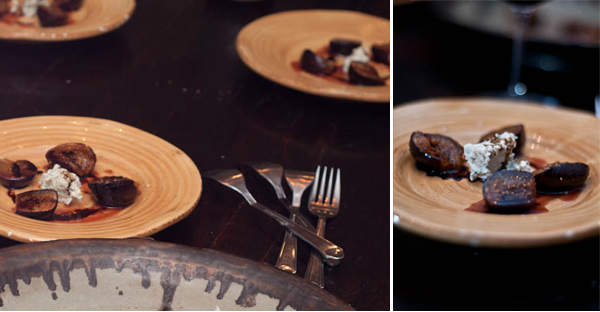 The figs’ sweetness provided an interesting counterpoint to the rich wholesome entrée. Paired with St. Francis Kings Ridge Cabernet Sauvignon, the combination was simply delicious. The whole day of food preparation, cooking, and feasting until late in the evening took on a very festive air as we told jokes, listened to music, and watched the kids make a huge mess. There really is nothing quite like honoring the home cooking of our ancestors with friends… Our grandparents would be proud. Now, every time a recipe calls for couscous, I will try to think outside the box. Mix warm water and salt to combine. Combine the semolina and flour in a bowl. 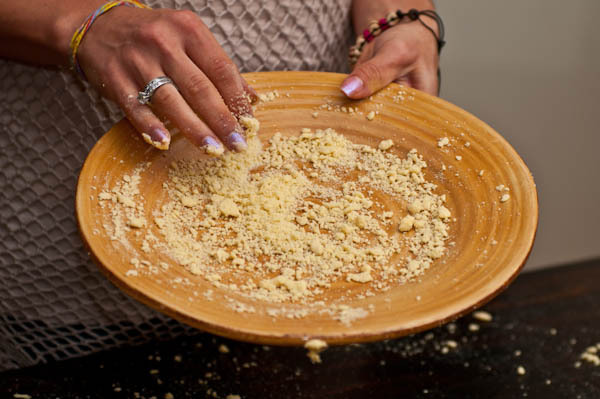 Use a rounded plate to roll the semolina. Take a small handful of flour and place on the plate. Add one teaspoon of salted water. 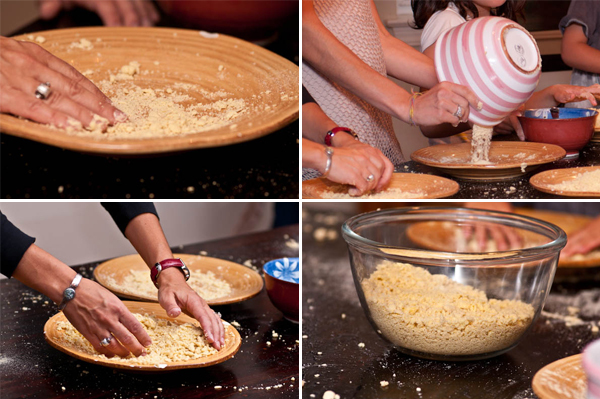 Use fingertips to lightly roll the semolina/water in tiny pebble shaped grains. Adjust liquid as necessary. 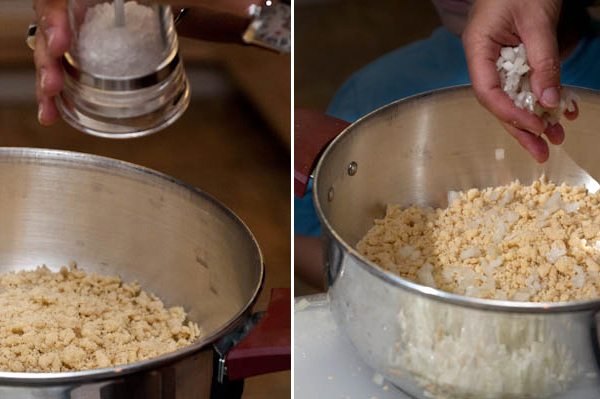 Repeat this until all of the flour is rolled. You may use more salted water as necessary. Use either chicken stock on the bottom of a double steamer. Place 1/3 of the couscous in the top of the steamer. 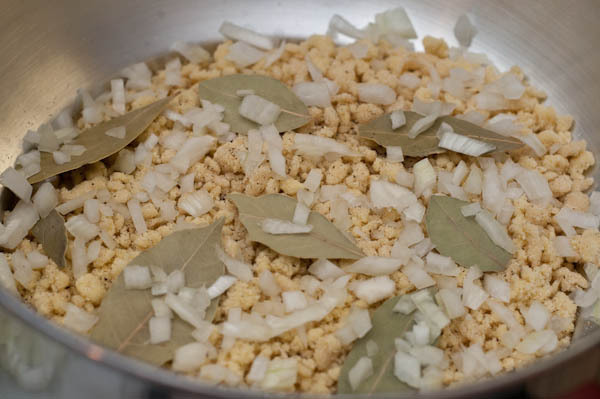 Sprinkle with 1/3 of the onions, bay leaves, a touch of salt and ground black pepper. Repeat this step two more times. Steam the mixture for approximately 20 minutes. Return couscous to a large bowl and fluff with a fork. Remove bay leaves. Add oil and mix. 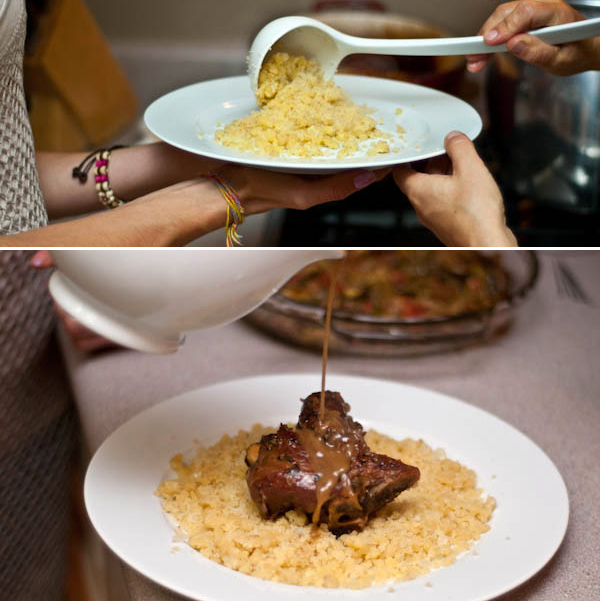 You may add water to moisten the couscous if it feels too dry. Return to steamer and steam for another 20 minutes. Serve with spiced vegetables, rich tomato sauce, curry or braised lamb or veal. You can always boil couscous in water if you don’t want to invest in a new pot but I promise you that steamed couscous tastes 100 times better! 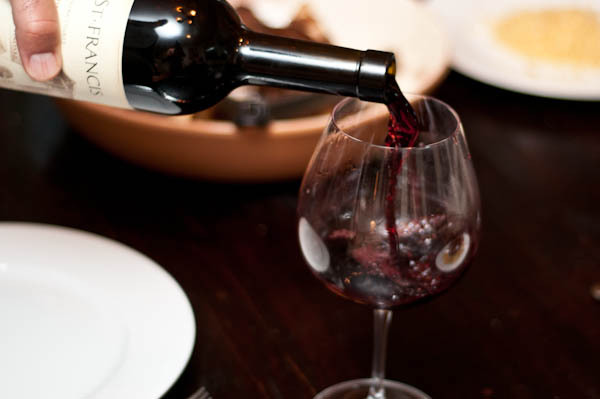 2004 St. Francis Kings Ridge Cabarnet Sauvignon helped balance the natural flavors in this dish. Check St. Francis winery or your local wine shop for availability. The pictures look so elegant. By the way, steaming couscous over medium heat is my my preferred method as well. I am Lebanese and this is how I make cous cous. Solid post. Thank you.